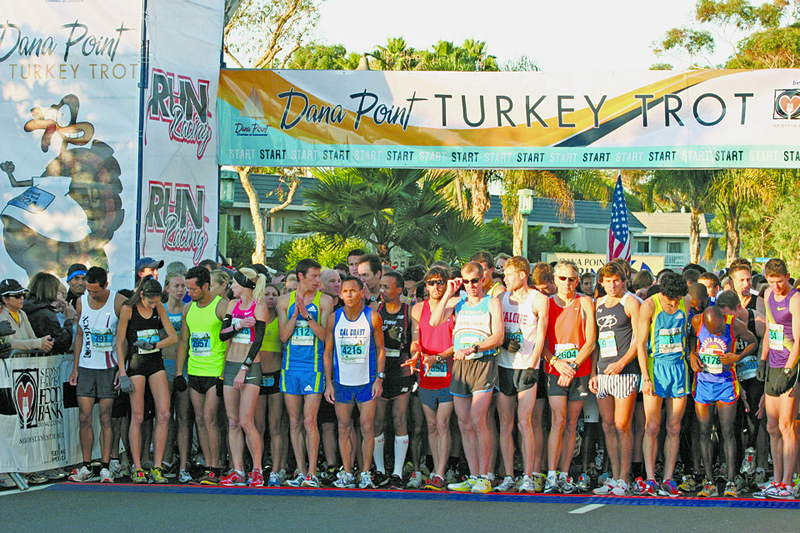 DANA POINT — Boaters will be among the 10,000 participants expected to put on their running shoes for fun and fundraising on Thanksgiving Day at the 34th annual Turkey Trot, Nov. 24 at Dana Point Harbor. Some will race in wacky costumes to compete for prizes, while others will compete for serious speed awards in a variety of divisions. Funds raised at this year’s event will benefit the Dana Point Fifth Marine Regiment Support Group, helping local Marines and their families during the Thanksgiving holiday; and the Second Harvest Food Bank of Orange County. In this year’s Food Bank Miles for Meals program, for every dollar raised, three meals will be served to Orange County children, families and senior citizens who would otherwise go hungry. Registration starts at 6 a.m. The 10K open run is scheduled to start at 7 a.m., with the 5K open run at 8:30 a.m. Costume contest judging will be at 9 a.m. at the starting line. The kids’ 1-mile Gobble Wobble Race, open to children 5-12, will start at 10:15 a.m. Runners can pick up race packets a day early — Nov. 23 — from 10 a.m.-5 p.m. in the parking lot at the southeast corner of Dana Point Harbor Drive and Golden Lantern. A free health and wellness expo is scheduled Nov. 23-24. The event is hosted by the Dana Point Chamber of Commerce. For more information, visit turkeytrot.com.